The freedom to move between borders is a privilege and I am deeply grateful for my Australian passport. It has magical properties and seems to transcend language, culture and most importantly gives me access to foreign lands. The capacity to traverse these physical borders is an expression of stable democracy in my country, our historical ties, our foreign policies and trade arrangements, our military agreements and I hope in part the friendly disposition of its citizens. 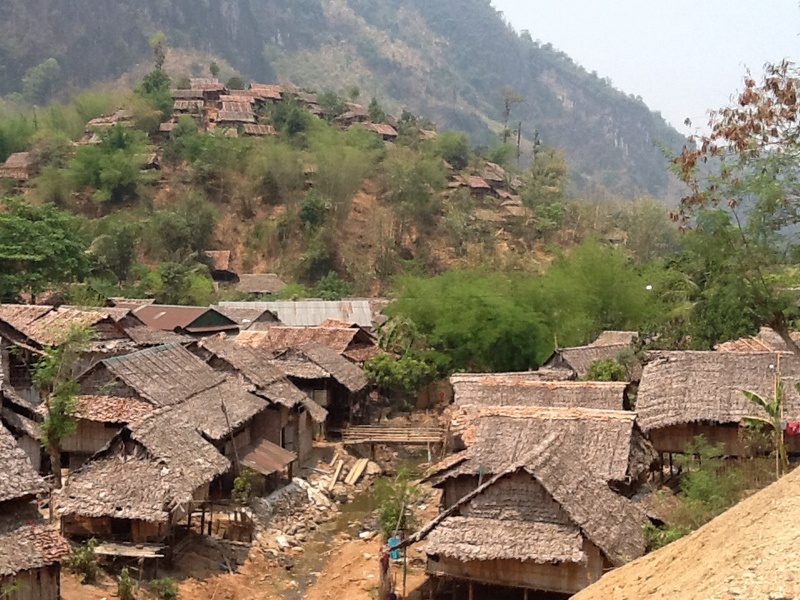 Burmese refugee camp Thailand – 5 generations of being stateless. So what to say of the internal passport we might hold and issue to ourselves? The one that gives us courage to go deeper into our spiritual landscape, the one that navigates us through challenging terrain, the one that stops us going into new territories? My passport is issued for ten years and will expire in a few weeks. On this passport I have travelled to Europe, Africa, North America and Asia. I have learnt about myself as much as any of the places I have visited. Each journey more important than the destination, and each return a ritual of coming home to myself. The plight of the pilgrim is a mix of being settled and unsettled; on the move and being still. The extreme pilgrimage I have spoken of before (TEDx Adelaide) does not respect borders – it is a vocation that recognises the borders are real to the journey to the interior. Travelling and poetry push me to the limits of my internal borders – helping me to see with an inner eye the faces and places I find myself in. Seeking the poetic in a dusty, headache inducing polluted air space is harder than in a luscious tropical oasis and so it is true for the inner life, finding the poetry when the body and soul is crowded by fear, anxiety or greed is harder then when blessings and gratitude appear on every corner. Yet it is in the dust and dry times the blessings abound it is just that you need to administer the occasional eye drops! Lent is coming to an end and I am entering into Holy Week while in Mae Sot Thailand where the Songkran festival begins on Sunday. It is a water festival, where one of the rituals to start to New Year is to throw water on everyone. Everything is cleaned and cleansed, and although I can only see the outward signs of this relentless drenching, I am sure that those who treat it as a spiritual exercise are also doing some internal cleaning up as well. 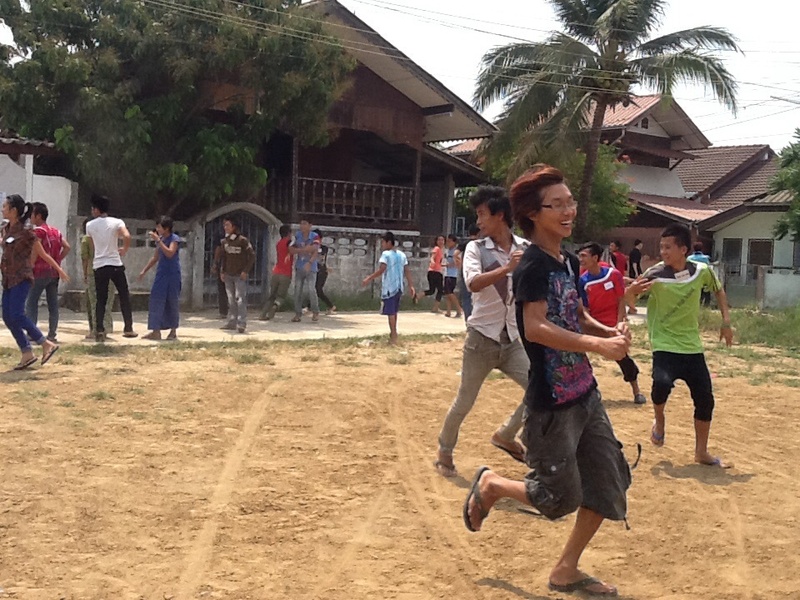 Early start to Songkran at Minmahaw School. This lent I have done a tiny little twitter poem each day as my discipline and it has proven to be a useful reflective practice. They can all be found in one place and are tiny little insights and memories of the last few weeks pilgrimage. The internal spring clean is not seasonal and I find I need to be constantly alert to the potential to be seduced by the dry and the hot. As the humble Nazerene’s ride into town on a donkey facing the Empire is remembered this weekend, and the water is thrown to make new the year ahead, I am touched by the universal desire for wholeness, new beginnings and the recognition that after the heat comes new life.